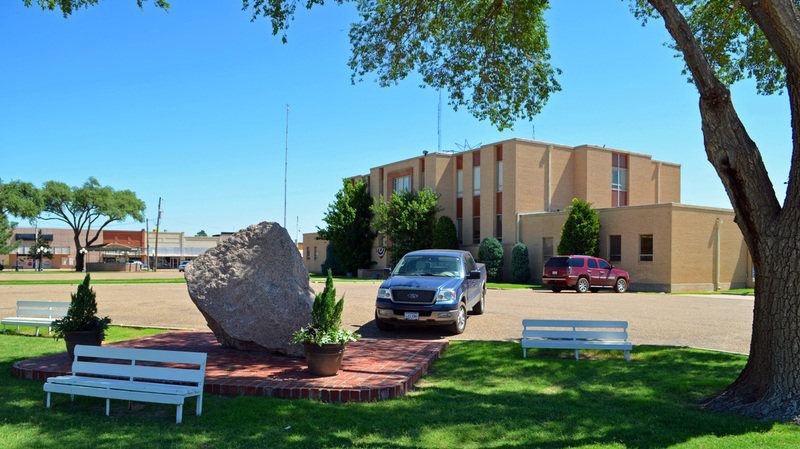 "Swisher County is in the transition area between the South Plains and the ﻿Panhandle﻿, bordered on the east by Briscoe County, on the south by Hale and Floyd counties, on the west by Castro County, and on the north by Randall and Armstrong counties. 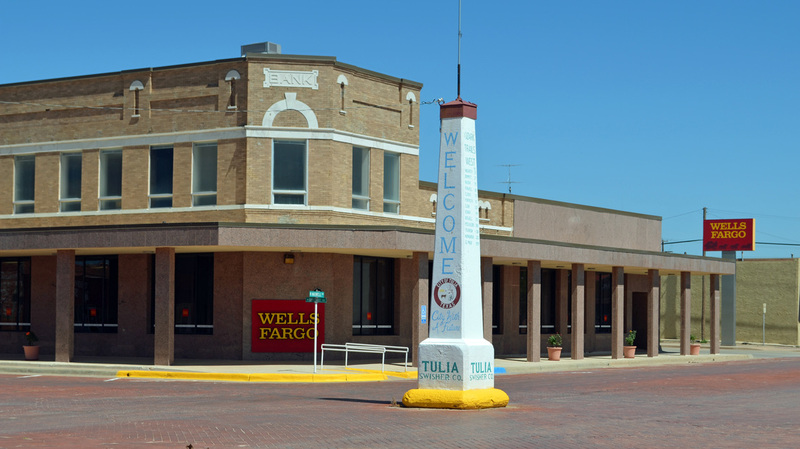 "Tulia, the county seat, is near the center of the county, seventy miles north of Lubbock and forty-five miles south of Amarillo. 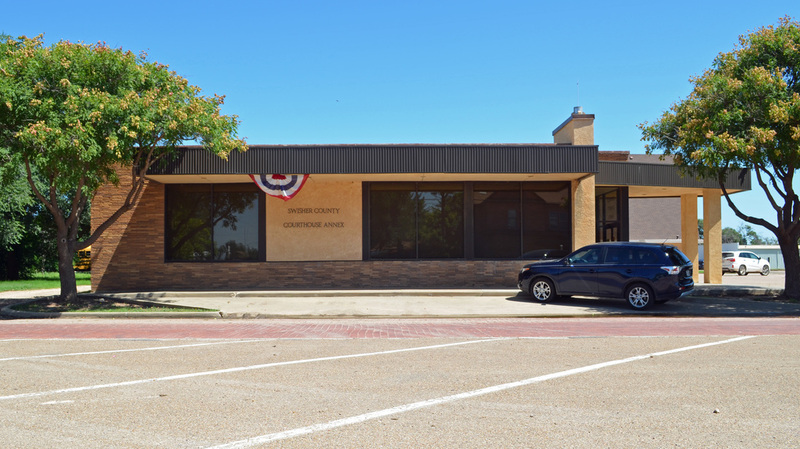 The area was named for James Gibson Swisher, a veteran of the Texas Revolution. Swisher County occupies 896 square miles of level plains broken only by Tule Creek and its three branches, North, Middle, and South Tule draws. "The county ranges in elevation from 3,000 to 3,600 feet above sea level, averages 18.94 inches of rain per year, and has an annual growing season averaging 205 days. The coldest temperature ever recorded in Texas, -23° F, occurred in Tulia on February 12, 1899. 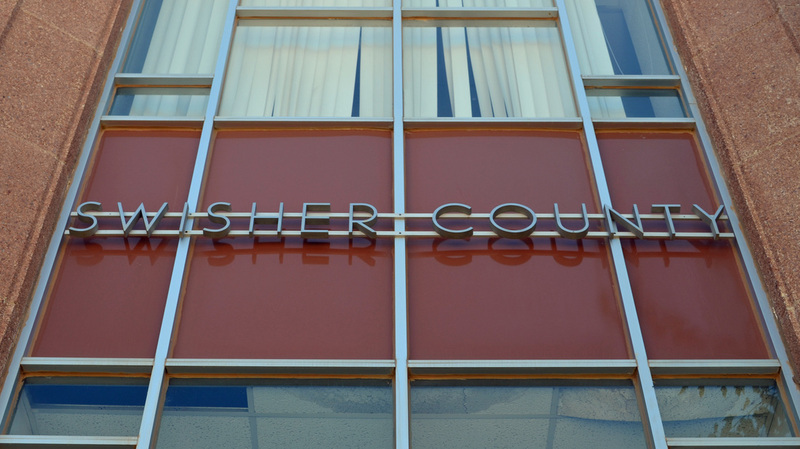 "In 1876 the Texas state legislature carved Swisher County from lands previously assigned to the Young and Bexar districts. In 1880 four people were reported living in the area. Ranching came to the county as the buffalo were eliminated. 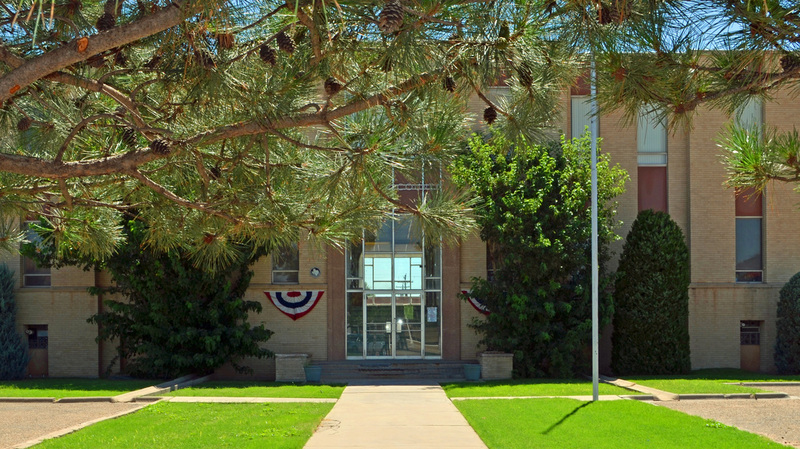 Swisher County remained largely unsettled until the JA Ranch of Charles Goodnight expanded into the county in 1883. By the late 1880s the scattered residents of the county perceived a need for a local government, and a petition for organization was circulated in June 1890. 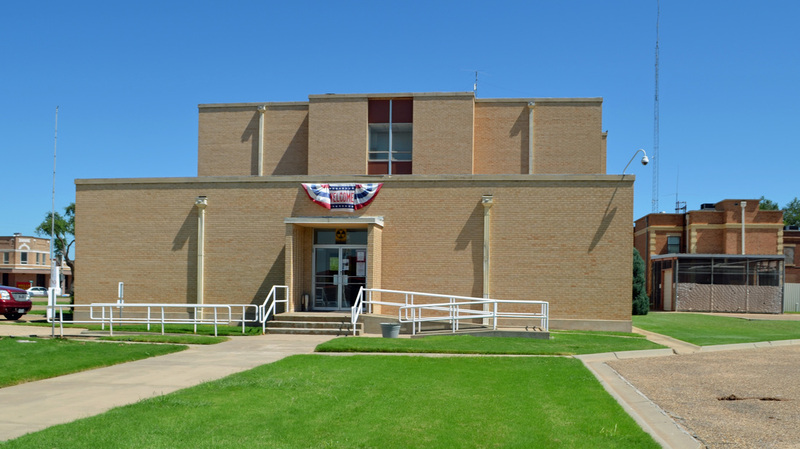 An election held on July 17 formally organized the county with Tulia, a tiny settlement, chosen as county seat." 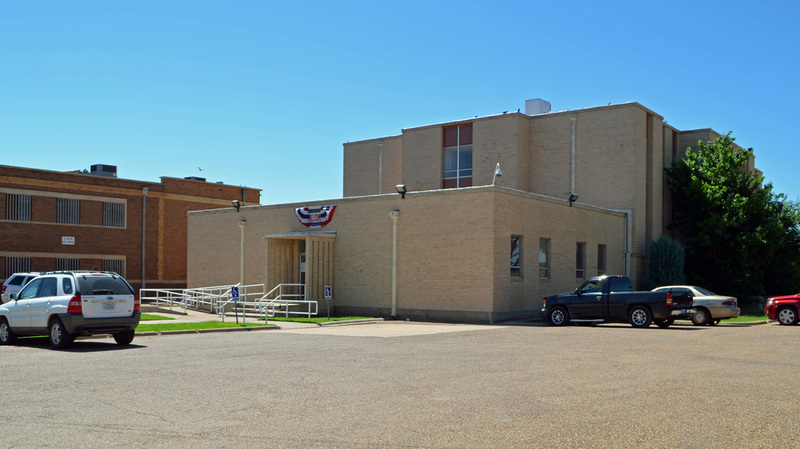 I visited Swisher County on Monday, July 13, 2015 and photographed the courthouse in Tulia. 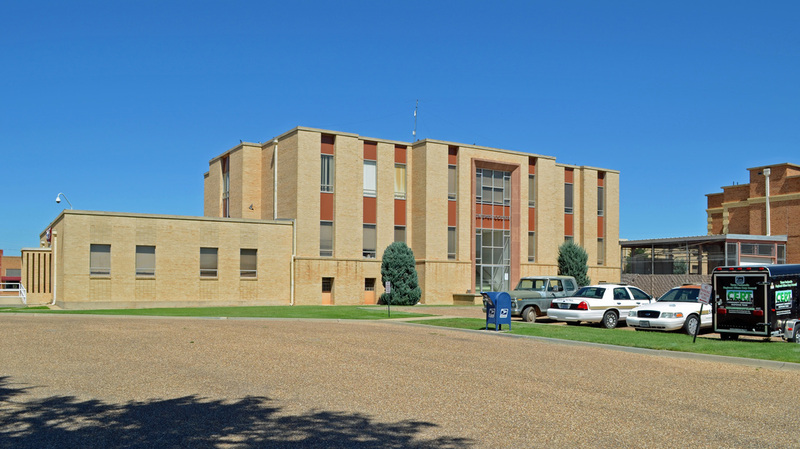 Architect Elmer George Withers designed this red brick courthouse. 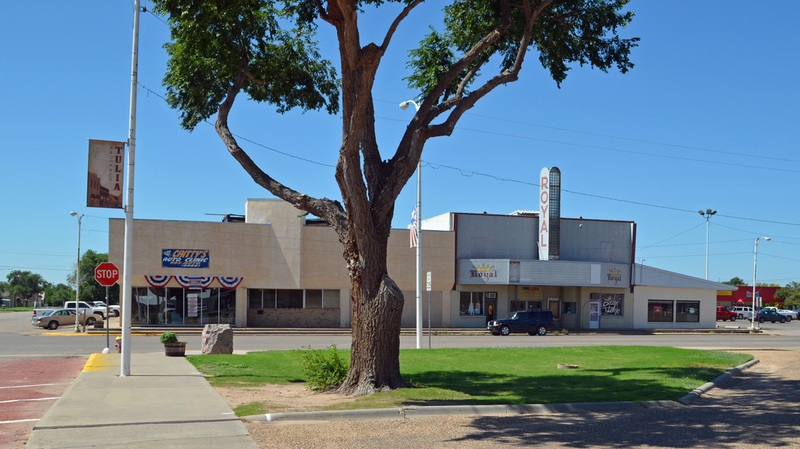 It still stands in the courthouse square in Tulia. 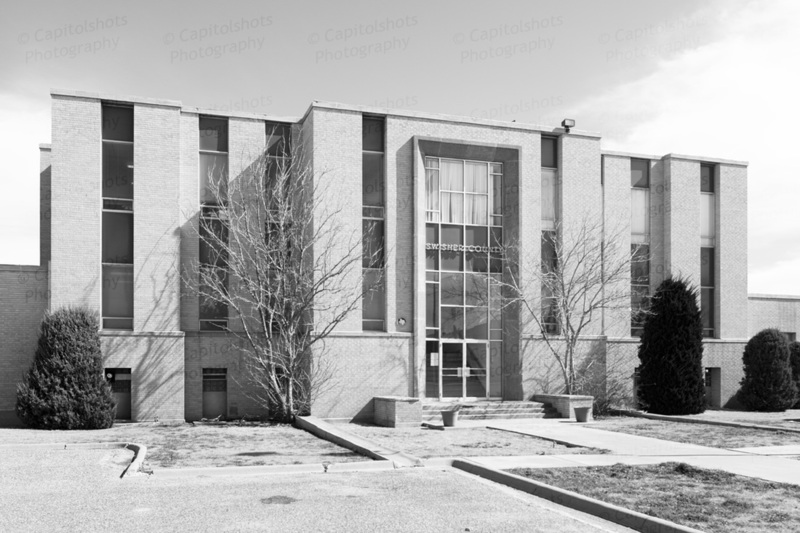 Unfortunately, it's unrecognizable, having been "remodeled" in 1962 to give a the county a "modern" courthouse. The alterations included the removal of the tower, roof, and top floor of the building, and new wings on the north and south sides. 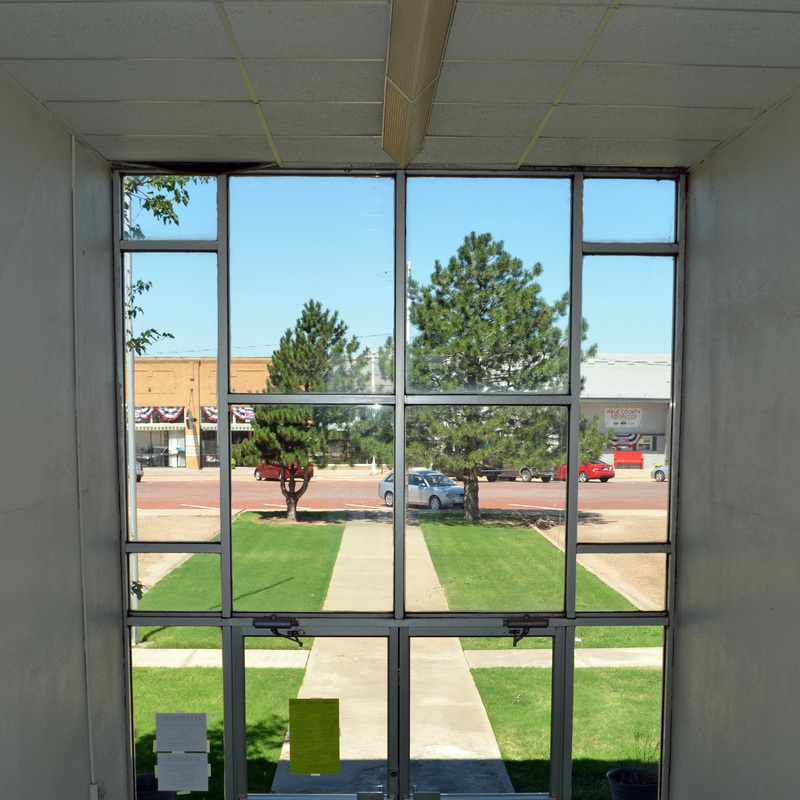 The remains of the 1909 courthouse are well hidden within the 1962 alterations. For all appearances, this is a mid-century modern building. Which is not a bad thing to be. However, and you know there's a "however" coming, the original, historic courthouse was a beauty and didn't deserve it's fate. The bottom line: it should have been saved. 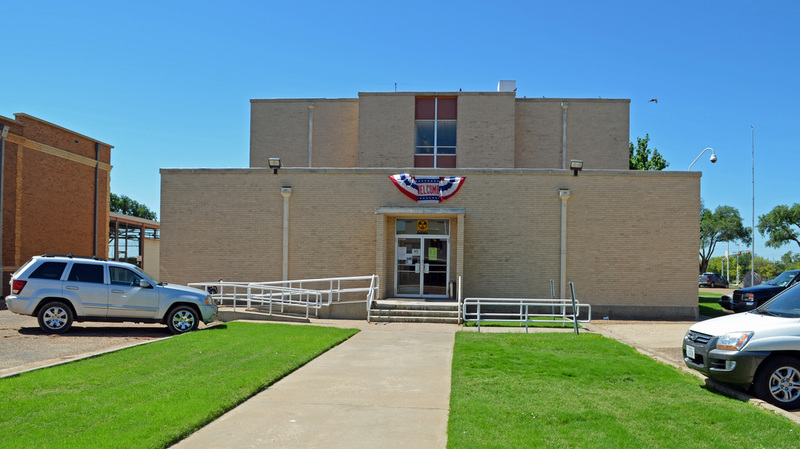 The front of the courthouse faces west, on S. Maxwell Ave. 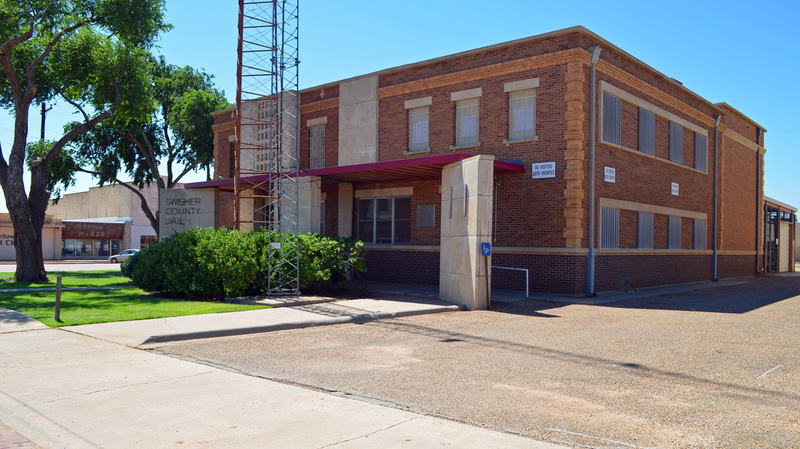 The Swisher County Jail is located on the northeast corner of the square. On the northwest corner of the courthouse square is this large concrete obelisk. It's a marker for the Ozark Trail, which passed through Tulia on a east-west route. "In 1913, Ozark Mountains resort operator William “Coin” Harvey, founded the Ozark Trail Association in an effort to increase interest in leisure highway travel. 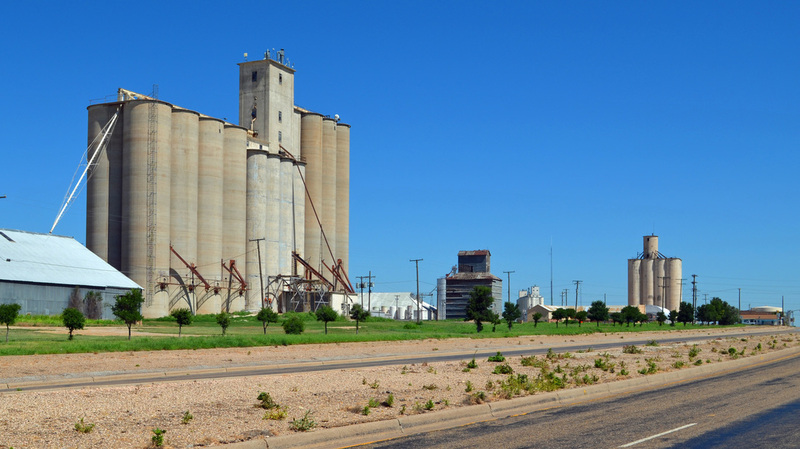 Although based in Arkansas, counties in Texas and New Mexico joined in, helping to create a southern route across the Texas Panhandle through Collingsworth, Childress, Hall, Briscoe, Swisher, Castro, and Parmer counties. 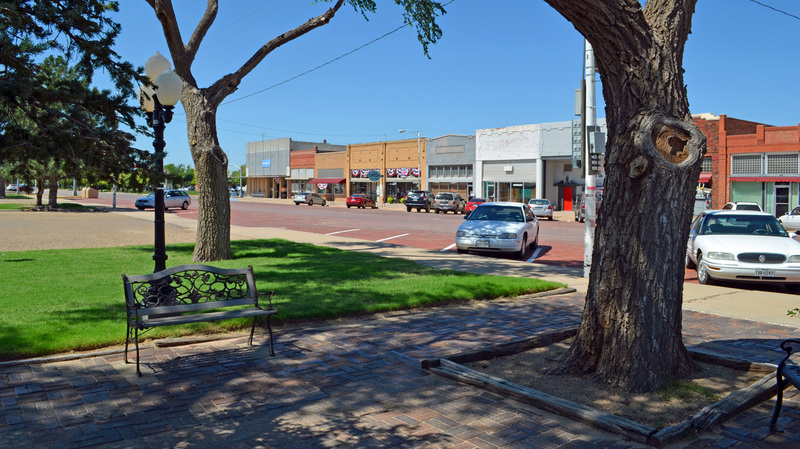 Local communities including Wellington, Childress, Turkey, Quitaque, Tulia, and Dimmit enjoyed the benefits of an Ozark Trail promotion and the attention it drew to improvements in the Texas highway system. 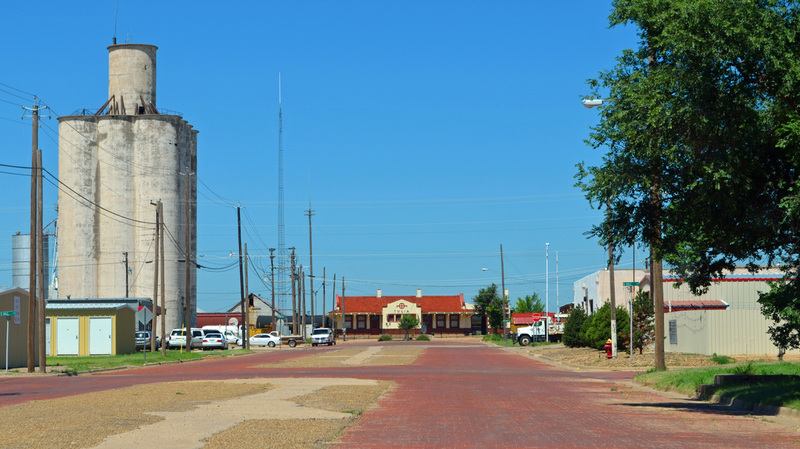 James E. Swepston of Tulia led the effort to place concrete signposts along the route and his efforts were rewarded with a term as president of the national association."